But I have completed one year using my simplified approach to documenting life, one month and four pages at a time. Here are my pages for December 2016. I love the consistency from month to month of this basic title page design. A month. 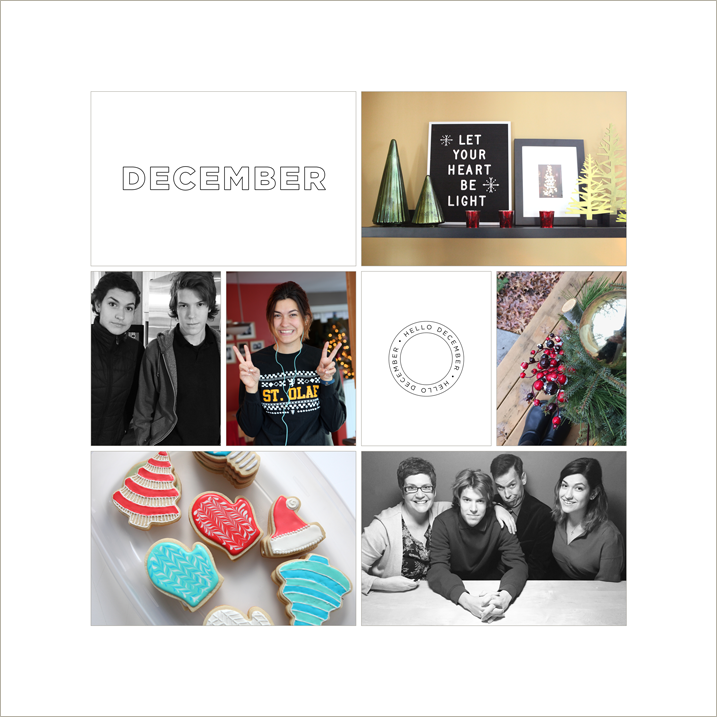 A little month circle. 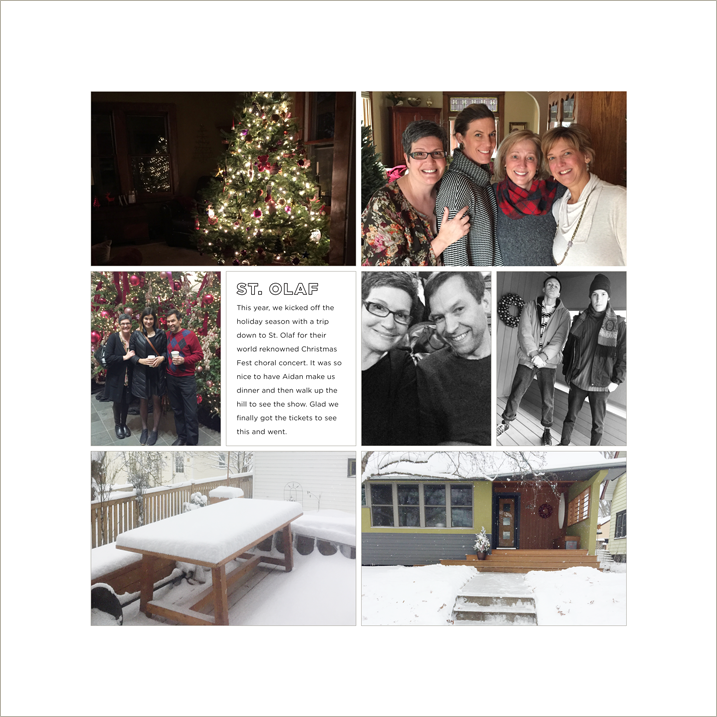 And a smattering of my favorite photos for the month. That’s been the approach I’ve taken all year long. All year long, I’ve mixed in black and white photos where appropriate, and what that really means is that the color quality of the iPhone shot was pretty awful. Black and white saves the day! Although let’s be honest: cool teens always look better in black and white. And so it goes… a few photos. A few stories. Done and done. One year in a total of 48 pages. Wanna see what my whole year looks like? All of these JPEGs are ready to upload to AdoramaPix and I’m going to get my book made in the next few weeks. 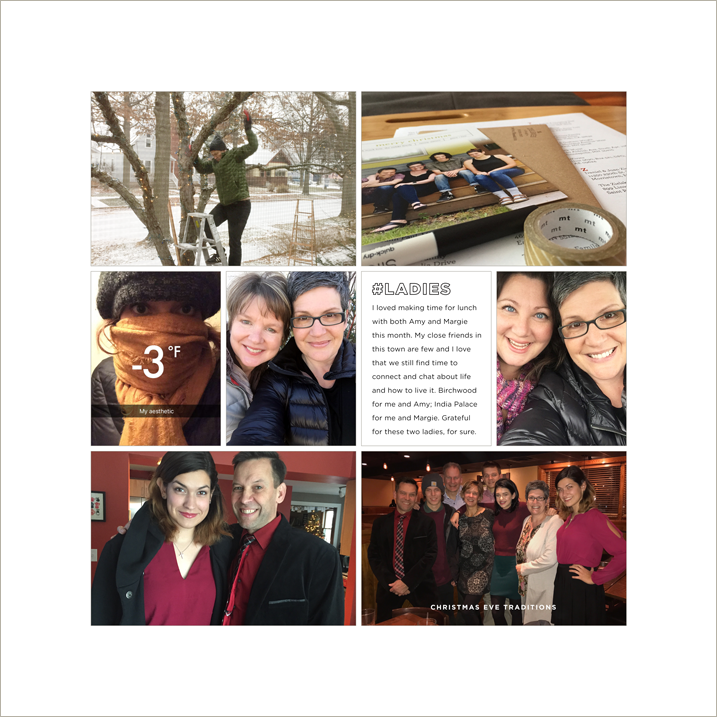 My entire process is part of an ongoing, self-paced e-course called Scrapbook Your Year. In this class, I teach you how to pare down your library (it’s really about letting go of expectations that you have to scrapbook it all!) 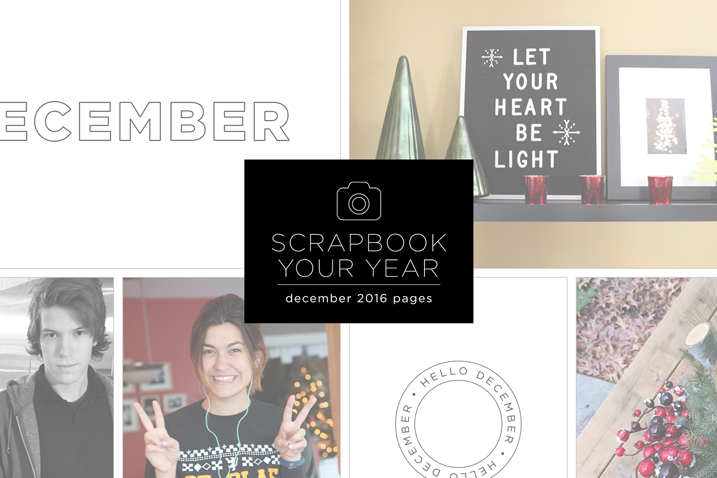 and I teach you the CRAP method of approaching a year-long scrapbook, one month at a time. Plus I provide digital templates for those memory keepers who want to try their hand at creating a bound book from digital files. This approach, however, applies to all memory keepers. It’s simply about getting it done with simplicity and consistency. This e-course is on sale for 10% off through the end of January. If you’d like to learn more, please click on the image below. To see all of my pages from 2016, click here. 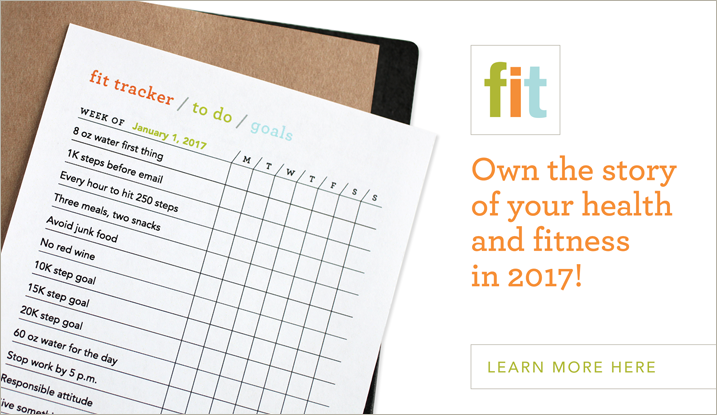 You can still sign up for Fit 2017 at the introductory rate of just $26. Our community is ready to support one another and document the story all year long. Click on the image above for more info. I’m committed to doing better—not perfect—in 2017. I’d love to have you join me! 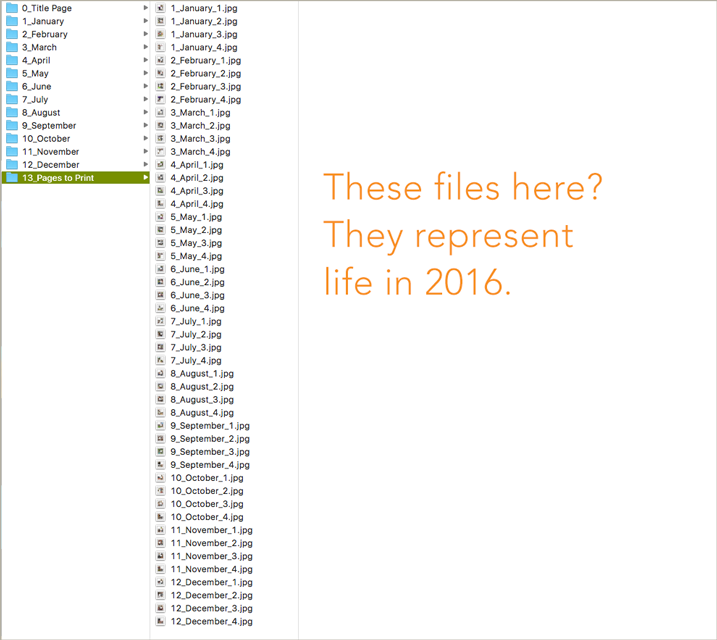 2016 slipped by. It was December 26th and I hadn’t done a single page for my Project Life album and I didn’t think it was going to happen. I sat and watched the tutorials from your course ‘Scrapbook Your Year’ and by following your guidance, I created my folders and the pages soon followed. I AM DONE. You helped simplify the process. Thank you Cathy!! Have an awesome 2017. Whoa Jan! That’s like a major testimonial! Aw yeah! And happy new year to you! My fingers are crossed for an AdoramaPix coupon code again. My book is waiting in the wings to be published. But I’m so thrifty, I can’t justify pulling the trigger without a coupon code. 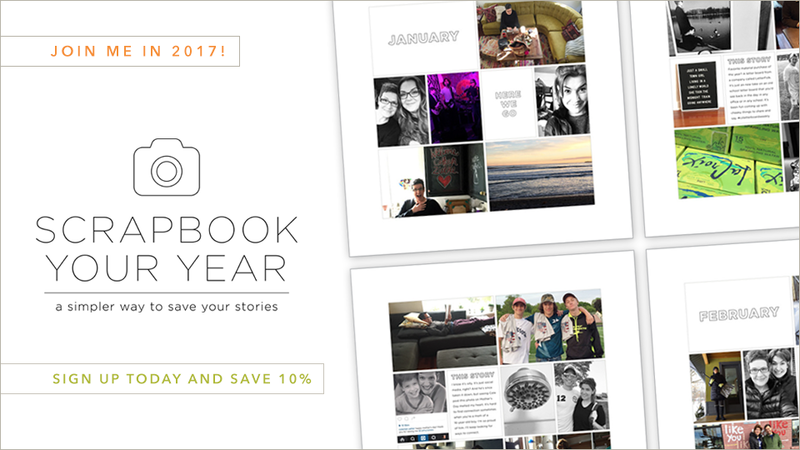 I used Shutterfly last year and am ready to give AdoramaPix a shot based on your glowing recommendation from last year. 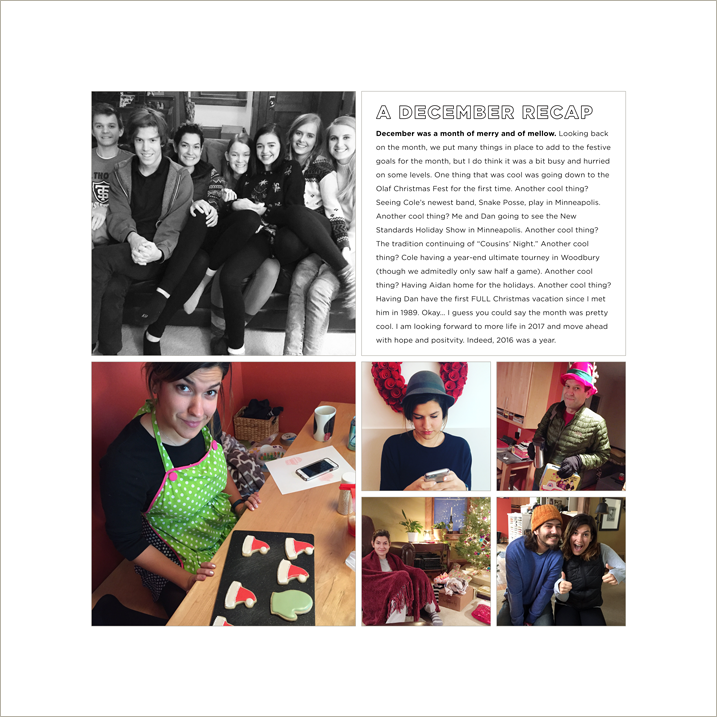 Love your pages Cathy! What is the name of the outline font that you use for titles on your journaling cards? Thanks! Thanks Audrey! It is Gotham from Hoefler Frere-Jones. Gotham is the outline font? ahh, thanks! I’m not familiar with Layer Styles. Is that something you teach in your class?